Jeanne Villepreux-Power was a French self-taught pioneer in marine biology and one of the most eminent naturalists of her time2 (p.486), for not only did she invent the aquarium in 1832, but also used this controlled aquatic environment for research purposes; namely, she succeeded in studying aquatic organisms by creating three types of aquaria, while being aware of the importance of repeating the experiments and striving for thorough observation. Occupation/Field of Study French marine biologist, inventor of the aquarium, first female member of Catania's Academy of Natural Sciences. KEYWORDS: Aquarium, Cephalopods, Argonauta Argo, Common octopus, Nature guide of Sicily. Jeanne Villepreux-Power was a French self-taught pioneer in marine biology and one of the most eminent naturalists of her time2 (p.486), for not only did she invent the aquarium in 1832, but also used this controlled aquatic environment for research purposes; namely, she succeeded in studying aquatic organisms by creating three types of aquaria, while being aware of the importance of repeating the experiments and striving for thorough observation. The types differed depending on the material and the positioning of the aquarium and also on the basis of the size of the observed animal3 (p.144): a glass one that is a forerunner of the modern aquarium was suitable for studying live molluscs indoors; another, also made of glass, was surrounded by a cage and submerged in the sea in order to study small molluscs; for observing larger molluscs, Villepreux-Power invented the third type, named “Power cages” – rectangular wooden cages with four anchors at its corners, that were sunk and anchored at a certain depth in the port of Messina3,4 (p.144 & p.60, resp.). It was possible to haul the cages and glass containers from the sea by means of a specially constructed mechanism that enabled easier observation5 (p.29). Another cage, which was not placed in the sea, but in a house next to it, had an efficient water circulation system that was based on rubber hoses pumping salt water in and out5 (p.29). Through the systematic use of her invention and numerous experiments, Villepreux-Power was able to precisely describe the morphology and the habits of cephalopods, especially of the pelagic octopus Argonauta argo, also known as Paper Nautilus. She was the first person to answer a question that had the object of conflicting opinions since Antiquity: she discovered that the shell of A. argo was produced by the animal itself and not acquired – which was the predominant opinion at that time – as in the case of the hermit crab. She proved this with an experiment involving the animal’s regeneration of the broken shell from shell pieces6 (p.1243). Moreover, observing the differences between the common octopus (Octopus vulgaris) and A. argo, and the reproduction of the latter7 (p.21–23), she was the first to suggest that the small worm-like organ, which was inserted into the female and considered to be a parasitic worm, was actually related to the male A. argo8. Among her other scientifically relevant research was her study of the Octopus vulgaris: she described how the octopus uses tools, e.g. stones, to keep the nobel pen shell (Pinna nobilis) open6 (p.1243). Not only was Villepreux-Power’s invention of the aquarium beneficial in terms of research, but she also thought about its applied use as a means for restocking the rivers with fish, and thus established the foundation of aquaculture in Sicily4,9. Young fish would be fed in cages until they would reach a desired size to be consequently released into the formerly depopulated river. In addition to her specific naturalist experiments and observations, Villepreux-Power presented detailed information about Sicily’s environment in two nature guides and thus documented Sicilian wildlife, landscape and natural heritage in the nineteenth century10. Being confident about the accuracy of her research methods and her many years of experience on the island, she strived to present both guides under an authoritative stance to the Sicilian and Italian audience as well as to the British one11 (p.42). Even though Villepreux-Power was born in France during the French revolution, the consequences of the Reign of Terror did not reach her, because she grew up the daughter of a cordwainer in Juillac, a village deep in the countryside4,12 (p.59 & p.51, resp.). Unlike her siblings, Jeanne gained a basic education and learnt how to read and write4 (p.59). In 1812, she left for the capital, accompanied by her cousin, who was taking a herd of cows to a slaughterhouse in Paris and who also functioned as a guardian for the underage Villepreux-Power; however, along the way her cousin assaulted her and she was forced to take refuge in the police station in Orléans, where she waited for new documents in order to be able to travel13,14. The workplace she had been promised in Paris had already been taken upon her late arrival, but she nevertheless had the opportunity to work as an assistant to a society seamstress, proving her skills to such an extent that she was entrusted with embroidering the wedding dress for Sicilian princess Marie-Caroline de Bourbon-Sicile, who was marrying Charles Ferdinand d’Artois, Duke of Berry, in 181613,14. Through this commission, Villepreux met noble English merchant Sir James Power, whom she married in 1818 in Messina, Sicily, where they would settle and live for more than twenty years, and where she began to teach herself everything related to natural history and natural sciences4 (p.59). Her numerous excursions and explorations on foot around Sicily resulted in diverse collections of shells, butterflies, fossils and minerals, as well as detailed descriptions of the island’s cultural and natural environment, its flora and fauna. All that information was published in Itinerario della Sicilia riguardante tutti i rami di storia naturale e parecchi di antichità che essa contiene and Guida per la Sicilia. It was at the port of Messina that she made use of her newly invented aquarium whilst carrying out research on the A. argo which, at that time, was quite common in the waters around Sicily. At the same time, she continued her studies of other molluscs and marine animals. In 1838, the brigantine Bramely, which was supposed to transport Villepreux-Power’s precious collections, drawings and papers to London, sank before reaching its destination13,14. This was particularly unfortunate as her natural history collections, for which she had been interacting with fishermen in order to find the desired specimens6 (p.1243), were considered to be one of the most beautiful in Europe14. Nevertheless, her findings were not completely lost and forgotten due to her published publications, as well as her correspondence with other naturalists, e.g. Richard Owen8. The Powers lived in Sicily until 184214 and subsequently spent alternate periods of time between the cities of Paris and London13,14. When Paris was under the siege by Prussian forces during the Franco-Prussian War, which led to French defeat, Villepreux-Power escaped and found a retreat in Juillac, where she died in 1871. Villepreux-Power became well connected with respected foreign natural scientists who visited Sicily during her stay there6 (p.1243); they knew about her work, and some of them even referred to it (e.g. Wilhelm Peter Eduard Rüppell). Likewise, they knew about her working conditions in Messina3 (p.144). She probably also met Heinrich Müller and Albert von Kölliker, who in 1852 were working on their specialised fields of inquiry for publishing a joint research with Carl Gegenbaur3,6 (p.145 & p.1243, resp.). In 1835, Villepreux-Power entrusted her findings on A. argo to French malacologist Sander Rang13, who abused her trust by trying to take advantage of her observations and by appropriating some of her discoveries, but he did not succeed since she had already reported them earlier7 (p.27,28). On the other hand, the verity and credibility of Villepreux-Power’s discoveries were doubted by some scientists: Henry de Blainville insisted at the Paris Academy in 1837 that her conclusions regarding the self-producted origin of the A. argo’s shell were false6 (p.1237). However, a few years later, Blainville acknowledged his mistake and published an article on the subject13. Villepreux-Power was the first female member of the Gioenian Academy of Natural Sciences (Catania, Italy) and was corresponding with English biologist Richard Owen, coiner of the term Dinosauria and founder of the British Museum of Natural History, who, despite his previously mentioned doubts regarding Villepreux-Power’s findings, supported her results and presented them to the Zoological Society of London6 (p.1243) – a scientific institution to which Villepreux-Power was elected as a corresponding member in 183914. Besides this, in 1858, Owen designated her the mother of aquariophily12 (p.52). During her lifetime, she gained membership of various scientific academies throughout Europe12 (p.53), which was a very rare honour for a woman in those times. Observations physiques sur le poulpe de l’Argonauta argo, commencées en 1832 et terminées en 1843 (1856), Paris, Imprimerie Charles de Mourgues Frères, <https://archive.org/stream/b2228476x#page/n1/mode/2up> (last accessed 9 Feb. 2017). “Finally my methodology is that of a wise naturalist traveller who, wherever she goes, taking the ordered and shortest route, observes, notices, and collects indiscriminately objects belonging to any class or species of natural history, in order to sort them out at her leisure. cited by Georgia Alù (2008), Beyond the Traveller’s Gaze: Expatriate Ladies Writing in Sicily (1848-1910), Oxford, Peter Lang. “I have read in several journals that there are a lot of aquaria or cages. (…) [F]rom 1832 to 1842 I worked on them; in 1832 and 1834 I invented several of them which I placed in my house for the studies of the Argonauta and other marine animals, and some that I placed in the sea. 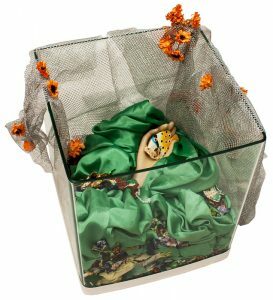 I had also invented a glass aquarium for small individuals that I put into a cage laid in the sea. cited by Association Jeanne Villepreux-Power (31 Oct. 2014), “Lettre de Jeannette Power au Professeur Owen, le 21 août 1857”, Jeanne Villepreux-Power, Site Jeanne Villepreux-Power, <http://jeanne-villepreux-power.org/son-oeuvre/femme-de-science/139-lettre-de-jeannette-power-au-professeur-owen-le-21-aout-1857> (last accessed 9 Feb. 2017). Richard Owen cited by European Commission (2009), Women in Science, Luxembourg, Office for Official Publications of the European Communities, <http://ec.europa.eu/research/audio/women-in-science/pdf/wis_en.pdf> (last accessed 14 Feb. 2017). Carmelo Maravigna cited by Association Jeanne Villepreux-Power (14 Feb. 2014), “Lettre du professeur C. Maravigna à propos de l’étude sur l’Argonaute”, Jeanne Villepreux-Power, Site Jeanne Villepreux-Power, <http://jeanne-villepreux-power.org/sa-notoriete/articles-qui-parlent-d-elle-de-son-vivant/84-lettre-du-professeur-c-maravigna-a-propos-de-l-etude-sur-l-argonaute> (last accessed 13 Feb. 2017). Mrs. Power, despite so much scientific activity, does not forget the affairs of her house, and she does that so well that she could serve as a model for many mothers. She should be given as an example to put an end to excuses that the majority of women came up with, in order to hide their natural indolence and the lack of education that they have received or that they have not gained. Alessio Scigliani cited by Association Jeanne Villepreux-Power (16 Feb. 2014), “Article du professeur Scigliani sur Jeannette Power”, Jeanne Villepreux-Power, Site Jeanne Villepreux-Power, <http://jeanne-villepreux-power.org/sa-notoriete/articles-qui-parlent-d-elle-de-son-vivant/86-article-du-professeur-scigliani-sur-jeannette-power> (last accessed 13 Feb. 2017). Villepreux-Power was unanimously elected corresponding member of the Gioenian Academy in 183515 (p.197), and during her lifetime she became a rare female member of more than twelve scientific academies and institutions15 (p.205), including the Zoological Society of London. 1835: Gabbiole alla Power. Gioenian Academy named invented cages after Villepreux-Power. 1837: Power cages. The Zoological Society of London named the cages after their inventor. 1851: Crustacé Poweri. Linnean Society of London named Phronima sedentaria as Crustacé Poweri in her honour. 1997: Villepreux-Power Patera. The International Astronomical Union named after Villepreux-Power a large crater (patera) on Venus, discovered by the Magellan probe and located at the coordinates latitude 22° South and longitude 210° East. 2010: Roundabout Jeanne Villepreux-Power. The Municipality of Brive-la-Gaillarde named a roundabout between avenue André Emery and street Romain Rolland (near the residential quarter of Prieur) after Jeanne Villepreux-Power. The plaque with the name was also set up. 2011: Jeanne Villepreux-Power prize. President of Récréasciences CCSTI Limousin, Sophie Rémy, created a prize which was intended as encouragement for young girls in the second year of the preparatory classes for scientific studies at the Academy of Limoges. The prize was first given to three laureates in 2011. 2014: Ramp Jeanne Villepreux-Power. The ramp, formerly named Haute-Vienne, that runs alongside the Aquarium of Limousin, was re-named after Villepreux-Power. In addition to her scientific work, Villepreux-Power drew over two hundred species of butterflies, caterpillars and chrysalises that she had been observing and studying16. Even though the drawings (as well as other papers) were lost because the ship carrying them sank, it is still possible to admire her watercolour painting of the Argonauta argo from the year 193917. Disdéri, André Adolphe Eugène (1861), photograph, Musée d’Orsay, Paris. Photograph of Jeanne Villepreux-Power. Musée du Cloître (2007), Jeanne Villepreux-Power, un génie féminin de la Corrèze oubliée, Musée du Cloître, Tulle, exhibition. Exhibition within the framework of “Arts et sciences en Limousin”. Szasz, Elisabeth (curator) (2007), Jeanne Villepreux-Power, une juillacoise pionnière de la biologie marine, Maison du Tourisme, Juillac, exhibition. Exhibition within the framework of “Arts et sciences en Limousin”. 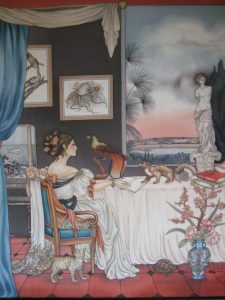 Anne-Lan (2008), Jeanne Villepreux Power, Figure de proue de la science, silk painting, <http://www.anne-lan.com/index.php?option=com_content&task=view&id=142&Itemid=59> (last accessed 5 Jun. 2017). Anne-Lan / Récréasciences CCSTI Limousin / Gilbert Beaubatie / Association Jeanne Villepreux-Power (orgs.) (2008), Jeanne Villepreux-Power, Préfecture de Tulle, Tulle, exhibition. Exhibition was a part of so called Journées du Patrimoine. Anne-Lan / Récréasciences CCSTI Limousin / Gilbert Beaubatie / Association Jeanne Villepreux-Power (orgs.) (2008/2009), Jeanne Villepreux-Power, Salle Latreille, Tulle, exhibition. Duneton, Claude (2009), La Dame de l’Argonaute, Paris, Éditions Denoël. Artichoke (2009), “Jeanne Villepreux”, 26 Scientists, Volume Two: Newton – Zeno, greeen records, CD. Jeanne VILLEPREUX-POWER (1794-1871), Corrézienne naturaliste & Œuvres d’artistes actuels en l’honneur de Darwin & Lamarck (2009/2010), Musée Labenche, Brive-la-Gaillarde, exhibition. Further two exhibitions regarding Villepreux-Power at Archives Municipales and Chapelle de la Providence in Brive-la-Gaillarde, another exhibition at Jardins Sothys in Auriac; all mentioned four within the same framework of “Arts et Sciences en Limousin”. Association Jeanne Villepreux-Power (org.) (2012), Jeanne Villepreux-Power, École élémentaire de Juillac, Juillac, exhibition. “Sounds of Science – Act I” (12 & 17 Sep. 2014), Youtube, uploaded by Science: It’s a girl thing!, <https://www.youtube.com/watch?v=38tfVMZZPDk> & <https://www.youtube.com/watch?v=5AdHymSQ-hg> (last accessed 7 Jun. 2017). The video relates to Villepreux-Power’s invention and was created under the campaign “Science: It’s a girl thing” of the European Commission. It is part of a set of videos entitled “Sounds of Science Quiz”. Radelli, Silvia (2014), Métroféminin, metro map, Galerie L’Aléatoire, Paris. Alternative version of Parisian Metro map which renames metro stations after historic women; one of the stations is renamed after Villepreux-Power. Radelli, Silvia (2014), Jeanne Villepreux (1794 – 1871), modern artpiece (mixed media), 35 × 35 × 30 cm, Galerie L’Aléatoire, Paris, <https://silviaradelli.book.fr/galeries/vies-magnifiques/> (last accessed 5 Jun. 2017). Radelli, Silvia (2014), Vies magnifiques, Galerie L’Aléatoire, Paris, exhibition. The two former mentioned artworks were part of this exhibition. Juli (2014), Jeanne Villepreux Power, Anne-Lan (drawing for sculpture project), glass paste, 60 × 50 × 7 cm, Médiathèque de Juillac, Juillac, <http://www.sculpteur-verre-bronze-paris.com/collections/pate-de-verre/collections-bas-relief> (last accessed 5 Jun. 2017). Conseil Général de la Corrèze / Récréasciences CCSTI Limousin / Anne-Lan (orgs.) (2015), Hommage à la curiosité: Destins croisés de deux naturalistes du 19éme Siècle, Conseil Général de la Corrèze, Tulle, exhibition. Exhibition within the framework of “Arts et sciences en Limousin”. Médiathèque de Juillac / Association Jeanne Villepreux-Power / City of Juillac (orgs.) (2015), Hommage à Fabre: “Les papillons de Jeanne Villepreux-Power”, Médiathèque de Juillac, Juillac, exhibition. The following is a selection of Jeanne Villepreux-Power’s most relevant works. Itinerario della Sicilia riguardante tutti i rami di storia naturale e parecchi di antichità che essa contiene: opera di madama Jeannette Power (1839), Messina, Tipografia Giuseppe Fiumara. Guida per la Sicilia: opera di Giovanna Power nata Villepreux (1842), Naples, Stabilimento poligrafico di Filippo Cirelli. Observations physiques sur le poulpe de l’Argonauta argo, commencées en 1832 et terminées en 1843 (1856), Paris, Imprimerie Charles de Mourgues Frères. Observations et expériences physiques sur la Bulla lignaria, l’Astérias, l’0ctopus vulgaris et la Pinna nobilis, la reproduction des testacés univalves marins, moeurs du Crustacé powerii, moeurs de la martre commune, faits curieux d’une tortue, l’Argonauta argo, plan d’étude pour les animaux marins, faits curieux d’une chenille (1860), Paris, Typographie Charles de Mourgues Frères. Observations sur l’origine des corps météoriques, aérolithes, bolides ou pierres qu’on dit tombées du ciel (1867), Paris, impr. de A. Chaix. Association Jeanne Villepreux-Power (1 Nov. 2014), “Accueil”, Jeanne Villepreux-Power, Site Jeanne Villepreux-Power, <http://jeanne-villepreux-power.org> (last accessed 5 Mar. 2017). D’Angelo, Michela (2012), “Da “Cenerentola” a “Dama degli Argonauti”: Jeannette Villepreux Power a Messina (1818-1843)”, Naturalista sicil., S. IV, 36 (2), 191–224. Debaz, Josquin (2012), “Jeanne Villepreux-Power: une pionnière de la biologie marine”, Rayonnement du CNRS, n° 58, 70–75, <http://www.centre-dalembert.u-psud.fr/wp-content/uploads/2013/09/villepreux-2.pdf> (last accessed 23 Feb. 2017). — (2014), “Jeanne Villepreux-Power: être une femme dans la communauté scientifique sicilienne 1818-1842”, in Femmes de sciences de l’Antiquité au XIXe siècle: Réalités et représentations, eds. Adeline Gargam / Patrice Bret, vol. 1, Dijon, Éditions Universitaires de Dijon, 221–36. Lefebure, Nadine (1995), Femmes Océanes, Les grandes pionnières maritimes, Grenoble, Glénat. Scales, Helen (2015), Spirals in Time: The Secret Life and Curious Afterlife of Seashells, London / New York, Bloomsbury Sigma. “Calendrier républicain” (23 Sep. 2015), Convertisseur de dates, 2011, Pas-de-Calais le Département / Archives départementales, <http://archivesenligne.pasdecalais.fr/cg62v2/outils/calendrier/calendrier_rev_greg.php?annee=III> (last accessed 5 Mar. 2017). Gage, Matilda Joslyn (1883), “Woman as an Inventor”, The North American Review, vol. 136, no. 318, 478–89, <http://www.jstor.org/stable/25118273> (last accessed 5 Mar. 2017). Groeben, Christiane (2008), “Tourists in Science: 19th Century Research Trips to the Mediterranean”, Proceedings of the California Academy of Sciences, Series 4, vol. 59, no. 9, 139–54. European Commission (2009), Women in Science, Luxembourg, Office for Official Publications of the European Communities, <http://ec.europa.eu/research/audio/women-in-science/pdf/wis_en.pdf> (last accessed 5 Mar. 2017). Brunner, Bernd (2005), The Ocean at Home: An Illustrated History of the Aquarium, trans. Ashley Marc Slapp, New York, Princeton Architectural Press. Allcock, A. Louise / Sigurd von Boletzky / Laure Bonnaud-Ponticelli / Norma E. Brunetti / Néstor J. Cazzaniga / Eric Hochberg / Marcela Ivanovic / Marek Lipinski / José E. A. R. Marian / Chingis Nigmatullin / Marion Nixon / Jean-Paul Robin / Paul G. K. Rodhouse / Erica A. G. Vidal (2015), “The role of female cephalopod researchers: past and present”, Journal of Natural History, 49 (21–24), 1235–1266, <http://dx.doi.org/10.1080/00222933.2015.1037088> (last accessed 5 Mar. 2017). Villepreux Power, Jeannette (1856), Observations physiques sur le poulpe de l’Argonauta argo, commencées en 1832 et terminées en 1843, Paris, Imprimerie Charles de Mourgues Frères, <https://archive.org/stream/b2228476x#page/n1/mode/2up> (last accessed 9 Feb. 2017). Association Jeanne Villepreux-Power (14 Feb. 2014), “Le repeuplement des rivières”, Jeanne Villepreux-Power, Site Jeanne Villepreux-Power, <http://jeanne-villepreux-power.org/son-oeuvre/femme-de-science/82-le-repeuplement-des-rivieres> (last accessed 5 Mar. 2017). La Mantia, Tommaso / Bruno Massa (2012), “Il contributo di Jeannette Villepreux Power alla conoscenza e agli aspetti zoologici e del paesaggio della Sicilia dell’800”, Naturalista sicil., IV, 36 (2), 339–49, <http://www.sssn.it/PDF/PDF%20NS%2036/339-350.pdf> (last accessed 5 Mar. 2017). Alù, Georgia (2008), Beyond the Traveller’s Gaze: Expatriate Ladies Writing in Sicily (1848-1910), Oxford, Peter Lang. Swaby, Rachel (2015), Headstrong: 52 Women Who Changed Science – and the World, New York, Broadway Books. Association Jeanne Villepreux-Power (16 Feb. 2014), “Sa vie date par date”, Jeanne Villepreux-Power, Site Jeanne Villepreux-Power, <http://jeanne-villepreux-power.org/sa-vie/sa-vie-date-par-date> (last accessed 5 Mar. 2017). Arnal, Claude, “Jeannette Villepreux Power à Messine: l’Argonauta argo et l’invention de l’aquarium (1832)”, Jeanne Villepreux-Power, Site Jeanne Villepreux-Power, Association Jeanne Villepreux-Power, <http://jeanne-villepreux-power.org/sa-vie/sa-vie-plus-en-detail/73-sa-vie-plus-en-detail> (last accessed 5 Mar. 2017). Association Jeanne Villepreux-Power (27 Mar. 2014), “Note sur le document “Observations sur les chenilles et les papillons””, Jeanne Villepreux-Power, Site Jeanne Villepreux-Power, <http://jeanne-villepreux-power.org/son-oeuvre/femme-artiste/124-note-sur-le-document-observations-sur-les-chenilles-et-les-papillons> (last accessed 5 Mar. 2017). Association Jeanne Villepreux-Power (14 Feb. 2014), “L’aquarelle de l’Argonaute”, Jeanne Villepreux-Power, Site Jeanne Villepreux-Power, <http://jeanne-villepreux-power.org/son-oeuvre/femme-artiste/83-l-aquarelle-de-l-argonaute> (last accessed 5 Mar. 2017).